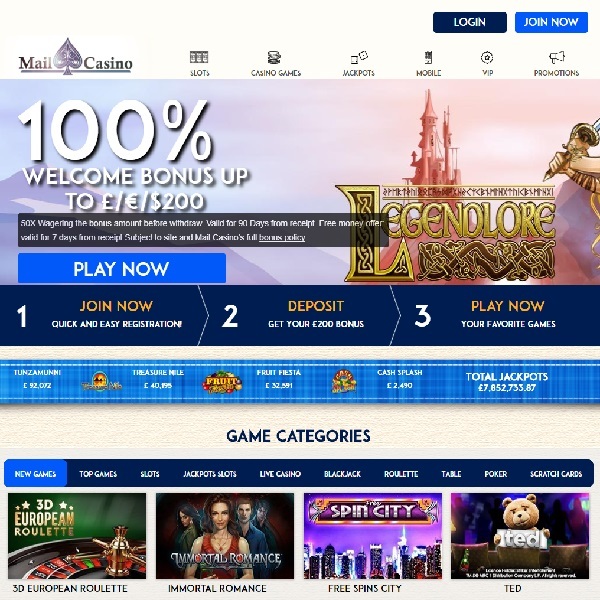 Mail Casino has just gone live with some great bonuses and a fantastic selection of games for you to enjoy. The casino is host to games from a huge number of developers such as Net Entertainment, Microgaming, Blueprint Gaming, ELK Studios and many more. At the casino you will find a vast collection of slots with more than enough choice for every kind of player. All the standard card and table games are on offer as well as live dealer versions and you can also enjoy poker games, scratch cards and more. New members are given a 100% first deposit bonus of up to £200 as well as a number of other bonuses to help them get started. The casino is licensed in Malta and the United Kingdom and offers customer support via live chat and email.